The Weidemann Wheel Loader will make every work application on and around the farm even more productive. In addition to a high level of functionality, working comfort and excellent safety standards, they have a great deal of power and endurance. 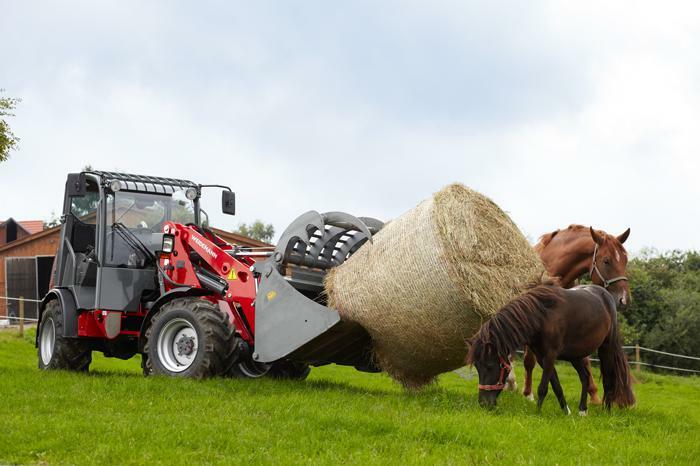 Whatever your application, Weidemann has the right solution for every task. 2070LP: 35.7kW (49 hp) with an operating weight of 3270kg and a tipping load with bucket of 2300kg. 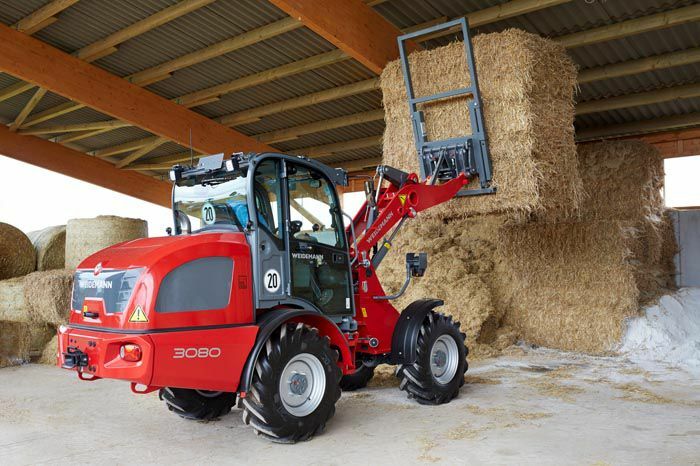 2080: 36.3kW (50 hp) with an operating weight of 4200-4300kg and a tipping load with bucket of 3020-3320kg. 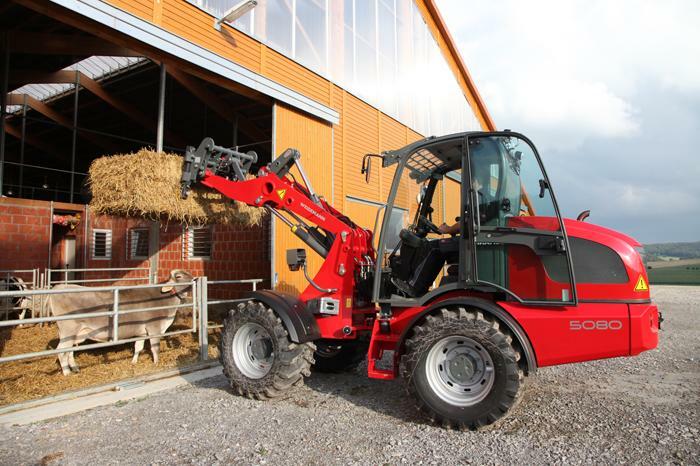 3080LP: 35.7kW (49 hp) with an operating weight of 4600kg and a tipping load with bucket of 2626kg. 3080: 55.4kW (75 hp) with an operating weight of 5100kg and a tipping load with bucket of 3218kg. 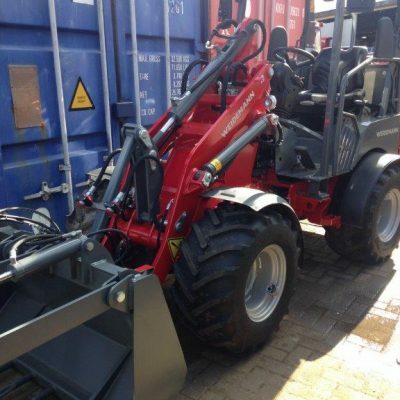 4080LP: 55.4kW (75 hp) with an operating weight of 5800kg and a tipping load with bucket of 3270kg. 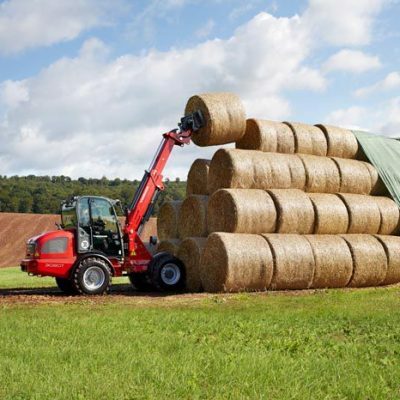 4080: 55.4kW (75 hp) with an operating weight of 5900kg and a tipping load with bucket of 3674kg. 5080: 55.4kW (75 hp) with an operating weight of 7000kg and a tipping load with bucket of 4762kg. 9080: 100kW (136 hp) with an operating weight of 10720kg and a tipping load with bucket of 5290kg. 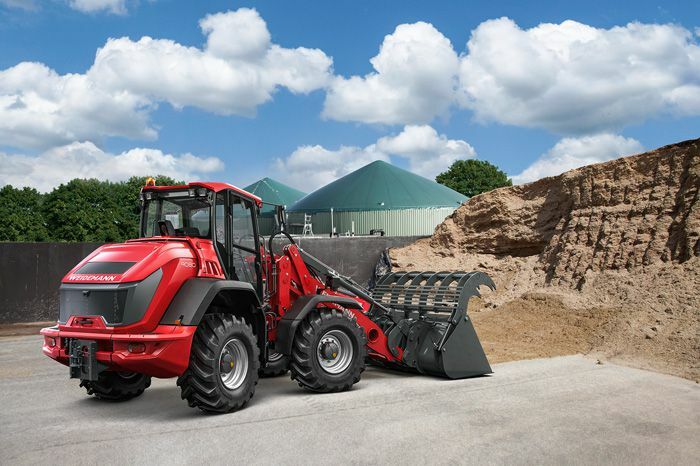 For more information on the Weidemann Wheel Loader range, contact our sales department or visit the Weidemann Wheel Loader website.